I am providing you with a FREE Google Docs template to use for your own budgeting needs. We love using Google Docs to budget because we can both share the document and have access to get in and edit it at any time. How to use the template: 1. Visit this link for the FREE TEMPLATE. 2. 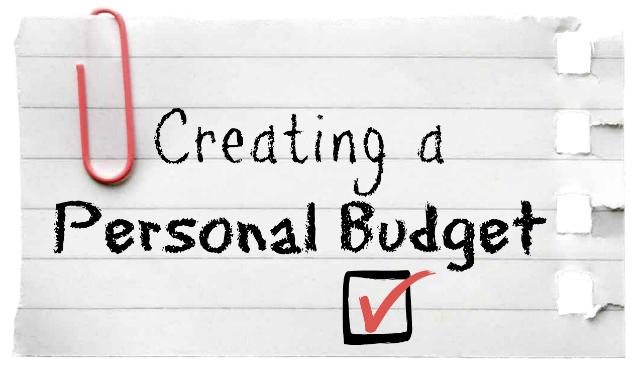 Click File --> Make a Copy --> Title Your Budget --> Click OK! Now you will be able to edit the document and anything you type will be PRIVATE. 3. There are two budget forms in this spreadsheet. Some people prefer to do 1 pay period on each side of the template. Some prefer to put one income per side of the template (each spouse's income). You can also (like we do) just use 1 side to budget for the whole month. 4. At the beginning of the month - fill in the expected income and expenses. You can edit the category names as you see fit. The ones listed will give you a great starting point. As you start budgeting each month, you will begin to have a better estimate. You may need to revisit the budget throughout the month to make revisions. That is okay! 5. Now it's time to keep track of your actual expenses. Some of our bills are automated and fixed each month, so we can go ahead and fill these in. We save receipts and sit down at the end of each week to update the spreadsheet. We also use online banking to help fill in some expenses. Make sure not to wait until the end of the month to enter in all your expenses - it will be overwhelming and you will forget! 6. Communication is key! Make sure all parties involved are on board and dedicated to the budget. 7. At the end of the month, we look at where we were most successful and places we overspent. It is so beneficial to see where you are putting your money. It will also show you where you may need to allow more allowance for and where you need to watch your spending. Tips for Using the Spreadsheet Entering Expenses: If you have more than one expense to enter per category (i.e. 5 receipts for groceries), click on the cell you want to type in and start with = with your amount directly after. Then you can put + with each additional amount. (For example: =50.62+75+52.78) That makes it easier to keep track of the receipts and amounts you have already entered. Adding New Lines: If you need to add a new line, click the row number on the left hand side for the row above the total line (the row right above Total Income or Total Expenses). Then click Insert --> Row Above. That is to ensure the total formula doesn't leave out your new line. Ready for the Next Month: When you are ready to create a new budget, Click File --> Make a Copy --> Rename the Budget for the Next Month (i.e. March 2015).Then you can delete out the cells for the new month. You may not need to delete a lot of the Expected Income or Expense cells. Please let me know if you have questions! I hope this helps you with your future budgeting. Don't skip the communication part. That was the hardest for my husband and me, but that was the key to making the budget work. Thanks for a great post! This is really helpful information for those of us who aren't great with budgeting.